Is Speaking in tongues of God? Many of you have already received the Baptism of the Holy Spirit with evidence of speaking in other tongues. For you, this is just a useful note set you can copy or email to your friends as an answer to a Biblical question. For some of you though, this is spirit and life, and although you have heard about people speaking in tongues, and perhaps been around it, it has not yet been your experience. Well, it can be, and this little teaching explains emphatically that this is a Biblical doctrine, not just the emotional experience of a few fringe elements. Let’s look at it. Why do we need to be filled with the Spirit? When you receive the Holy Spirit, you receive the ability of God. Acts 1:8 says, “But ye shall receive power, after that the Holy Ghost is come upon you.” The word power in that verse is translated dunamis, which means ability and might. It is through the energizing force of the Holy Spirit living in us that we are transformed into effective witnesses. So, to be born again and not filled with the Spirit is like being a train without a track. The ability you receive to pray with your spirit when you are baptized in the Holy Spirit is powerful. It edifies and builds up your spirit man and puts you in contact with the deep things of God (1 Corinthians 14:4, 2:10). For he that speaketh in an unknown tongue speaketh not unto men, but unto God: for no man understandeth him; howbeit in the spirit he speaketh mysteries. We see in Romans 8:26 ¶ Likewise the Spirit also helpeth our infirmities: for we know not what we should pray for as we ought: but the Spirit itself maketh intercession for us with groanings which cannot be uttered. It also allows you to pray God’s perfect will apart from your natural understanding and aids you in interceding for others (Romans 8:26-27). 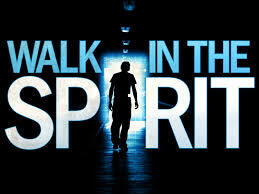 Praying in the Spirit strengthens and intensifies your personal relationship with God, and helps us in our love walk. How can I receive the Baptism in the Holy Spirit? The promise of receiving the Holy Spirit is for everyone in the Body of Christ because God gave His Spirit to the Church on the Day of Pentecost (Acts 2:32-33, 39). As a partaker of your covenant with God, however, you must individually receive what He has given you. When you ask for the indwelling of the Holy Spirit, the Word of God promises that you shall receive. Luke 11:9-13 says: And I say unto you, Ask, and it shall be given you; seek, and ye shall find; knock, and it shall be opened unto you. For every one that asketh receiveth; and he that seeketh findeth; and to him that knocketh it shall be opened. If a son shall ask bread of any of you that is a father, will he give him a stone?…Or if he shall ask an egg, will he offer him a scorpion? If ye then, being evil, know how to give good gifts unto your children: how much more shall your heavenly Father give the Holy Spirit to them that ask him? In the Bible, when believers received the Holy Spirit, they began to speak in a heavenly language. Acts 2:4 says, “And they were all filled with the Holy Ghost, and began to speak with other tongues, as the Spirit gave them utterance.” This is still true today. When you accept the Spirit’s indwelling, your spirit will immediately have a desire to express itself in praise to God. The Holy Spirit will give utterance through you as you give Him permission. When you pray in tongues, you are praying in the Spirit. You are letting the Holy Spirit pray through your spirit. The Amplified Bible says in 1 Corinthians 14:14, “My spirit [by the Holy Spirit within me] prays….” Just as your native language is the voice of your mind, your prayer language is the voice of your spirit. Is 28:11 For with stammering lips and another tongue will he speak to this people. Praying in other tongues will cause the weary to rest, and brings refreshing from the presence of the Lord. In today’s fast paced world, who doesn’t need rest and refreshing? I heard Gloria Copeland testify that the Lord told her, thirty years ago, that if she would pray in tongues one hour/day that everything would be alright. Well, she has been faithful to do this, and everything in their life, health, finances and family are still alright. It is the promise of God, uttered through the lips of Jesus before He left the earth. All who are afar off, means you, right there where you are reading this, for the Lord our God has called you. Now, if we are going to study a certain doctrine or area of theology, we need to look at what it looked like in the Bible. I have recorded here the experiences of other Christians who have received the infilling of the Holy Spirit, to see what happened, and how we can learn from their experience. 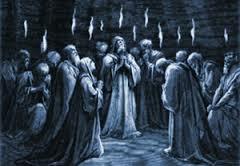 Acts 2:1 ¶ And when the day of Pentecost was fully come, they were all with one accord in one place. Read v 4. They were all filled with the Holy Spirit and who spoke? The Holy Spirit? No, they spoke as the Holy Spirit gave them utterance. God will fill you with His Holy Spirit whenever you ask. He will not overpower you and force you to speak. You must, by faith, open your mouth and speak a heavenly language that you have never spoken before. We see here a number of interesting things. The baptism in the Holy Spirit is an event that occurs after salvation. People had already been saved under Phillips ministry, but then God moved, sent the apostles to them, and then the believers received the Holy Ghost. One of the ways to receive the Holy Spirit is through the laying on of hands. Simon saw something after the Holy Spirit was given. Many preachers have added their interpretation of what they think Simon saw, but let’s stick with the Scripture. There was obviously some type of physical manifestation when believers received the Holy Spirit. I think they spoke in other tongues, but the Scripture does not say, so THIS IS STILL ONLY MY OPINION! God couldn’t wait for Peter to finish preaching before He baptized these folks in the Holy Spirit. Seems one can get saved and filled with the Holy Spirit all in one shot. These believers did not need hands laid upon them to receive the Holy Spirit, they simply believed the Word they heard. One of the initial evidences of receiving the Holy Spirit is to speak in tongues. Again, the Holy Spirit baptism is a different event than salvation. These people Paul preached to were already saved. Again these people received through the laying on of hands. 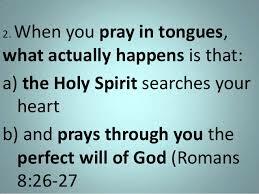 They spoke with tongues as initial evidence of the infilling of the Holy Spirit. 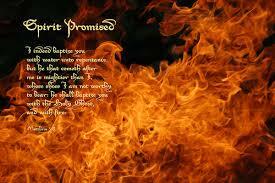 They also prophesied: they did not have to wait years before prophetic gifts from the Holy Spirit were given to them. These are the only four accounts recorded in the Scripture of believers being baptized in the Holy Spirit. Two received through laying on of hands, two received directly. You can receive this gift directly from God, right now as a direct response to this Word that you have heard. Three of the four cases, and possibly the fourth, spoke in tongues as initial evidence of the baptism in the Holy Spirit. You will speak in other tongues after you are filled. 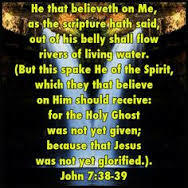 I remember a couple of years ago, a friend of mine asked me to prove to him from the Scripture that the infilling of the Holy Spirit is Biblical. I shared with him, the verses I just gave you. He was still not convinced, and argued vehemently that these Pentecostal and Charismatic gifts had passed away with the 1st Century church. I asked him to show me that in the Scripture, and he showed me several vague references, but nothing concrete. Seems the denomination he came out of didn’t believe in the infilling of the Holy Spirit, and they were well grounded in their unbelief. Well, I brought this man to a Pentacostal Church, and as God would have it, the pastor asked everyone to pray in tongues for five minutes before the service. This man was shocked at the heavenly roar, and obvious power in what happened, but still unconvinced. He invited me over for coffee and then argued vehemently that speaking in other tongues was of the devil, and that I was involved in some cult. What are you getting at? He asked. Jesus said these signs would follow those people that believe. I believe, therefore I speak in other tongues, you don’t believe so you don’t. Don’t let this bother you any more. God is not going to force His good gifts upon you, for tongues are only a sign for those that have faith, for one who believes. You refuse to believe, so you will not speak in tongues. He was so angry that he asked me to leave! Well, I thought that was the end of it, and I went down the road rejoicing. Yet, I met him again several weeks later. Seems he went back to that Pentecostal church to argue more, but during worship, he got filled with the Holy Spirit, and began speaking in other tongues, and has continued to do so, every day since. To God be the glory! Now open your mouth and speak! You might want to save this article, to help others….. Many believe that new prophecies from God, the gift of tongues, and the gift of special knowledge that comes directly from God are available today. There are a few problems with that assumption. Their stated position is that prophecies, tongues, and knowledge will only cease to exist when we reach heaven. Is that a valid position to take? It is obvious that the gifts of prophecy, tongues, and special knowledge will not be needed in heaven. I do not think Paul was stating the obvious. It is more likely he was referring to a point in time before we get to heaven. Most men agree that gifts of prophecy, tongues, and knowledge will cease to exist. The question remains. WHEN? The perfect or complete is not referring to when Jesus takes His church to heaven. The complete occurred when we had a completed Bible, 96 A.D. . The church of Christ had all the information it needed in order to be a mature church. Many like to cite, 1 Corinthians 13:13, as an proof-text to prove that the perfect means, when we get to heaven. The problem is that when we get heaven we will not need faith. 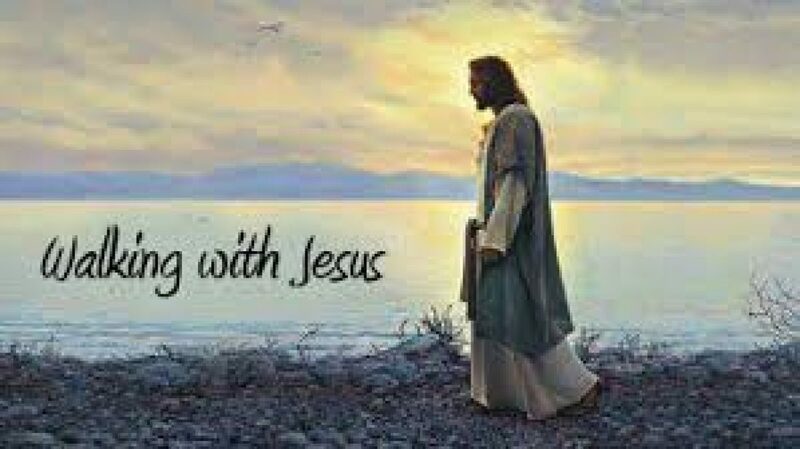 We will see Jesus sitting on the right hand of God. THERE WILL BE NO FAITH NEEDED IN HEAVEN. We will not need hope in heaven. OUR hope will already be realized. We will be saved, not hoping for salvation. WE WILL NEED NO HOPE IN HEAVEN. THE ONLY THING THAT WILL REMAIN IN HEAVEN IS LOVE! AFTER THE BIBLE WAS COMPLETED THE GIFTS OF PROPHECY, TONGUES, AND KNOWLEDGE WERE NO LONGER NEEDED! Hi Steve, Sounds like you have been wonderfully schooled in your unbelief. Remember, Jesus said in Mark 16:15, that speaking in tongues is only a sign for those that believe. I speak in tongues, and flow in the Holy Spirit, today. (Won’t need the gifts in heaven, I need them now, to see God’s miracles in the earth, now, here, in these last days). Yet, like I said in the article, if you don’t choose to believe, God will never override your will, and supernaturally force a beautiful gift upon you. He loves you, yet our free will remains. Yes, everything we need for life and godliness has been given to us through the Bible, the promises of God. Yet, after we have believed and applied a promise from God, what is the role of the Holy Spirit in leading, guiding, and directing our lives? He clearly gives gifts, and 1Cor 12-14 describe these gifts and their correct functions in the church. If these gifts have passed away, and were unnecessary after the Bible was written, why would God include descriptions of them and instructions for their use in the Scripture? He loves us, and wants us to know Him personally, experientially, through not only the Scripture, but also by the Holy Spirit, and often through His other book, His creation. Previous Previous post: Attitude of Gratitude AMEN! Next Next post: The Origin and nature of satan….